As a full-service, professional trucking industry association, the Mid-West Truckers Association offers many valuable services to our members. MTA and its DOT-trained and certified staff remain cup-to-date regarding new regulations and any enhancements to current regulations. We host bi-annual DOT Compliance Seminars at various locations around Illinois, as well as the compliance training offered at the Annual Convention and Truck & Trailer Show every February in Peoria, Illinois. MTA can file your IFTA renewal, original IFTA application or request additional decals. We offer preparation and electronic filing of your IFTA quarterly. MTA can electronically file your company’s Heavy Highway Use Tax (2290) and your Unified Carrier Registration (UCR) for both new filings and annual renewals. MTA’s licensing team is an excellent source for companies to, process IRP renewals, fiscal plate renewals, 45-day IRP temporary permits, complete an IRP Supplement application with required documentation, prepare title applications, file tax documents required by the Illinois Department of Revenue, receive answers to CDL questions or help with concerns your company may have. Our processing service provides free delivery of documents and pick up of the new credentials at the Illinois Secretary of State. Members can order Illinois oversized, overweight, and quarterly permits. We can answer your questions regarding temporary and permanent fuel permits and reciprocity for some states, and exempt operating authority to many states. MTA provides training material for Hazardous Material certification for companies and drivers. We have available Pre-Employment Screening for possible new hires. We keep in stock most of the supplies needed to meet DOT requirements. Our magazine has monthly articles with updated information on new and current regulations needed by office personnel and drivers. 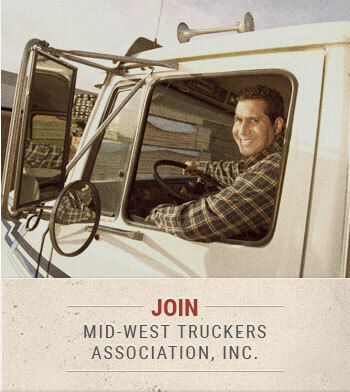 Mid-West Truckers Association started the Midwest Truckers Risk Management Association (MTRMA) as a self-funded workers’ compensation insurance program for its members in 1991. When you join the MTRMA, you get the benefit of saving on your workers’ compensation premium as well as knowing you have the security of a solid workers’ compensation program. Must be a member of Mid-West Truckers Association, Inc., however your company can be quoted for rates before joining MTA. Visit the MTRMA Web site, managed by Cannon Cochran Management Service, Inc. to find out if you can save money on your work comp premiums today! 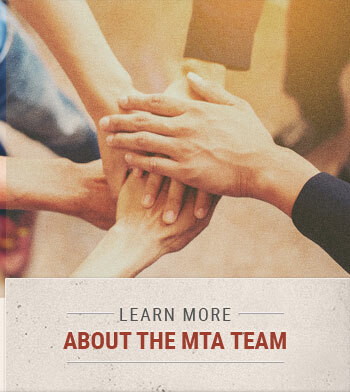 Our own MTA lobbyists represent truckers’ rights before local, state, and federal governing bodies. Members are kept informed through legislative “hotlines” by e-mail alerts and through our magazine, Keep on Truckin’ News. MTA staff also serves as industry advisors to numerous trucking, and regulatory organizations at state and national levels. Our monthly magazine is of interest to all truck operators, but is available free only to MTA members. Features include articles and information on the trucking industry, government agencies, and new laws and regulations. Free ‘FOR SALE’ ads can be taken out by members. Our advisory boards are comprised of truckers from all segments of the industry and regions of Illinois, to assist and advise our office on the operations and programs of the Association. Boards represent Southern, Central, Northern Illinois, Western Illinois, and the Chicago area. If you would like to be a member of an advisory board, contact us as it is open to all members. For over 40 years, we have held seminars for our members and their families in locations such as Hawaii, Alaska, Mexico, the Virgin Islands, Bahamas, Dominican Republic, plus aboard various cruise ships. Check with your tax professional for deductibility. Nearly 100 video programs are available in the MTA collection and are available for a small shipping fee. 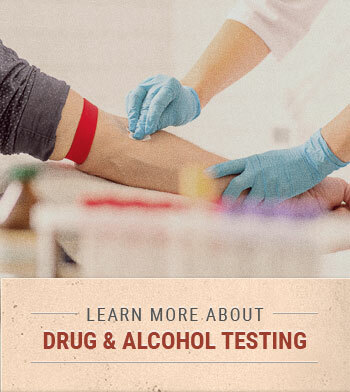 These tutorials are designed to help educate you and your drivers on safety, CDL, drug and alcohol abuse, truck maintenance, and many other industry related subjects. This is one of only two such cards recognized by the State of Illinois. Good for any violation of the Illinois Vehicle Code (outside Cook Co.) requiring bond of up to $300.00, including overweight. Only available to members and their drivers. The cost is $17.50 per card per year. 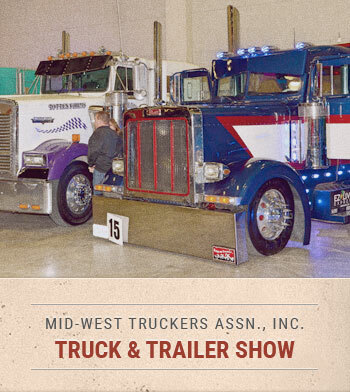 The best investment you can make is attending the MTA Truck Show and Annual Convention. The entire format is devoted to education, information, exhibits, entertainment, and recognition. Always held the first weekend in February, it allows attendees plenty of time to exchange ideas and information with fellow truckers. Over 7,000 people attend The Biggest Little Truck Show in the Country each year! Find out more information about the MTA Truck Show HERE.